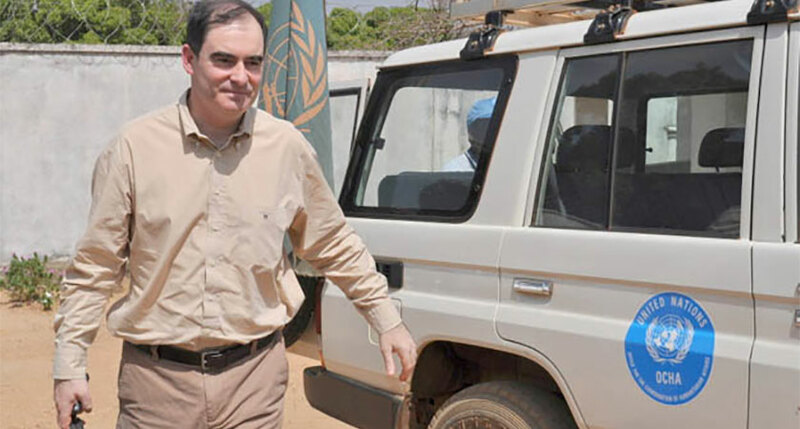 OCHA Operations Director John Ging said helping Eritrea to confront food insecurity and infant mortality challenges is the goal of the latest five-year plan between the UN and the government. Helping Eritrea to confront challenges such as food insecurity and infant mortality is the goal of the latest five-year plan between the UN and the government. The Horn of Africa country ranks at number 179 out of 188 nations on the UN Development Programme’s (UNDP) Human Development Index, which measures indicators such as life expectancy and education levels. John Ging, Operations Director with the UN humanitarian affairs office, OCHA, travelled to Eritrea in July and visited various UN-backed projects that are making a difference in citizen’s lives, such as a health clinic. He told Dianne Penn how the UN has been supporting the country’s efforts to meet global development objectives. Speaking to media in New York following a three-day mission to Eritrea the Director of Operations for the Office for the Coordination of Humanitarian Affairs (OCHA), John Ging, today highlighted the important progress that has been made in Eritrea over the last several years. Let it rain; let it rain, and let it rain over and over again. 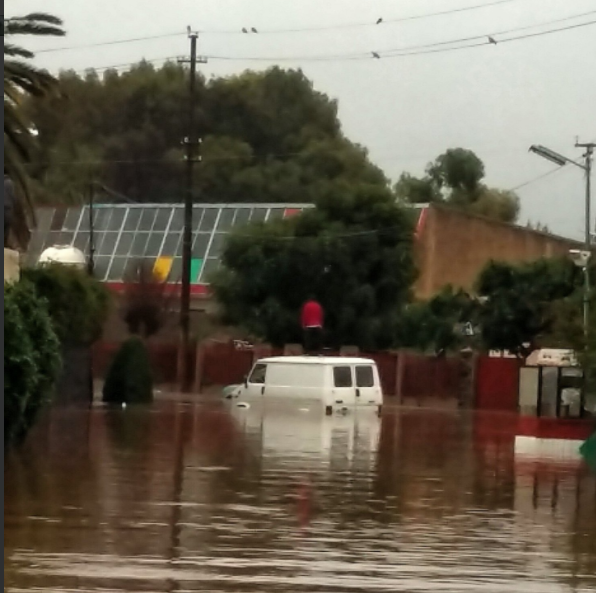 That is why I get happy every time it rains, Here is raining in Asmara, I will still stick to my pledge of being happy every time it rains in Eritrea. I really think if folks at the UN understood the value and contribution of the National Service to Eritrea’s GDP and education, Eritrea’s ranking would probably be 5 to 10 level better (low 160s). Anyhow, I think this is still be a bad rank. 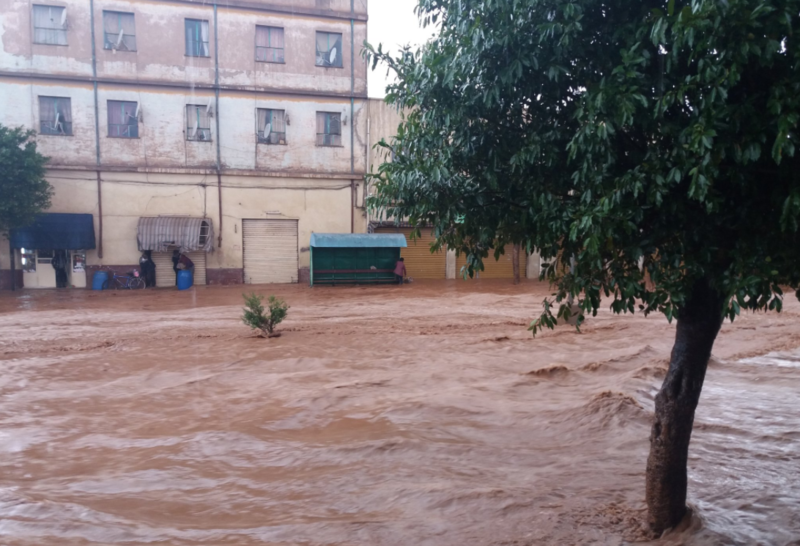 Eritrea needs to do better — a lot better. Eritrea is doing wonders, but I still agree with you that we need to do even better. First, I am not sure how the United Nations Human Development Index (HDI) is computed. How is each variable in their table valued? For example, which is valued higher, higher literacy rate or higher GNI? Our young nation, with all of its obstacles is performing great in health, life expectancy and literacy rate. How are these variables valued in their computation? A literacy rate of 93% for male and 88% for female from a country with full of young population, where 75% of Eritrea’s population are under the age of 25 should be very promising and highly valued in their HDI ranking. Looking at the table in the link you provided, besides those of oil rich countries, the ranking seems directly to correlate with GNI. Brother One Observer, I am glad you commented on this important subject. Eritreans in the main land are doing excellent, what about us in the diaspora? I myself have not done enough to help Eritrea. We need to organize (here in TN) and be active in finding what Eritrea needs and solutions to it. As you said, our ranking should and will be better, and I say … regardless of how it is calculated . But we have to do our share, we have to think of how to help Eritrea, especially every time we plan to visit our home land. Materials like Electronic Books, calculators, memory sticks, that may seem simple to us, are very useful to them. Read me above as the questions are for u as well as a concerned Citizen! The Coward TN delelted by comment for no reason as I did not even criticize the GoE. I know we are not in the same page with regards to Catholic “priest” Mussie Zerai. I hope we will be on the same page with UN/Eritrea issue. Hey B.Adal, TN deleted my response for whatever reason. I can post my response elsewhere if you like. Thanks! As you noted, the devil is on the detail as they say… and how the UN measures or assign points to their indicators would be good to understand so that we know where the issue may lie. I know there are flaws within their methodologies. For example: significant amount of points are assigned by how much the countries’ say they spend money on each of the components they UN measures for. This is big issue. For example, TPLF Ethiopia receives a lot of aid for health, education, and the UN says these spending deserve additional points (LOL). You and I know that this is a bogus approach, which is why NGOs work hand in glove with TPLFites to cook the books in order to show positive results – win/win situation for both of these parasites. 2) Unfortunately, our official numbers don’t show good results on life expectancy and graduation rates. For example, two weeks ago an article on Shabait stated that last year’s high-school passing rate ranged somewhere b/n 55%-75%. The dropout rate at elementary schools is even worst. I’m baffled by these figures. Nonetheless, I am glad Shabait published these numbers b/c this’s how you begin addressing them – transparency is the key to pinpointing where they issue may lie (Is it the parents, the students, teachers, government policy). So, you’re right, improving literacy rate is good, but the UN measures graduation rate… and I am sure 55%-75% high school passing rate are hurting us badly. Period. I realize that this is a very complex topic that require complicated research and policy prescriptions. Mind you, the GoE could have cooked the books just like the TPLFites, or could have made the national high school exams a lot easier. But they didn’t. I salute GoE for this! I believe the GoE publishing them so that smart people like you can look at them, debate about them and come up with solutions. I also believe that UN needs to the value the contribution of our National Service to the country’s GDP and education, which we know is very significant. Salaam One Observer, Sorry for my late response. Basically I completely agree with your comment. As you said, it is everyone’s responsibly to make Eritrea better. Huh ….R U serious? Ayte One Observer! I thought Eritrea is #1 in all aspects. 1)In what way is National Service good?a)Any collateral damages or any weaknesses? b)If so,how could we have improved it? 2)Do u believe that The Private Sectors of the Economy and Education could have placed Eritrea as one of the top ten ? A)If so,why have they been banned? B)If,any,what are the problems or risks of allowing the Private Sectors of the Economy and Education System to boom? 3)Of utmost importance,do u believe that creating Strong Institutioons could have helped us to improve the situation? A)If so,why could not we improve the Institutions? B)What are the major risks(if any) Vs the benefits (plenty)of implementing the ratified Constitution minus the Election? C)Why could not we agitate and rally the Diaspora to do its share to make Eritrea on the top list? Hope he is safe!’I am mentioning his nick as we both suggested as to how to mobilize the Diaspora in a United and organized manner so as to do its share including modifying the 2% tax into a sort of bond system and Investment by the Diaspora like an annual single minimum contribution of $200-300 per Citizen,which can easily generate more than $300 million per annum besides encouraging the Diaspora to be actively involved in Investment specially in Tourism and Fishing industries. Why is it so difficult for the PFDJ Gov to do this? Can we learn,like Wisdom said it honestly,from the Tigreyans,who were our Students at one point,including now,as to how to mobilize the Diaspora and to do its share by encouraging the Diaspora to be involved directly in Investment? Why is he mute about the major obstacles for Eritrea to be on the bottom? -The negative role of the ” Preferential” Treatment of Eritrean Refugees,which is the Major Pull Factor for the Youth Exodus. We hear often that UN/UNDP has done this and that for Eritrea, but how much money is spent in the name of the country. What have the UN/DP exactly acomplished in eritrea and for what cost? I think most of western taxpayers money is spent in western (as salary and other comprnsation to their emplies ) banks before it even arives in eritrean soil. And when the money( maybe 5% of total ) arives in the country, much of it may go to the pockets of their so called experts and their partners. Eritrea has lost many of its highly qualified citizens due to different reasons and has become a playground for charlatans. TN, why did you delete my objective response to B Adal? This is strange. Lol. Who the hell told you the comments were “objective” you actually sounded like a TPLF agent bashing the king. How he didn’t do a great job of educating the kids, how dare you? You are supposed to say like B. Adal, shabo is doing “wonders”. What kills me about people like you, why do you support Wedi Afom without even understanding data that’s been out for years? There is nothing new there, here I was thinking Eritreans are blessed with IQ. Ayye logic out the window. 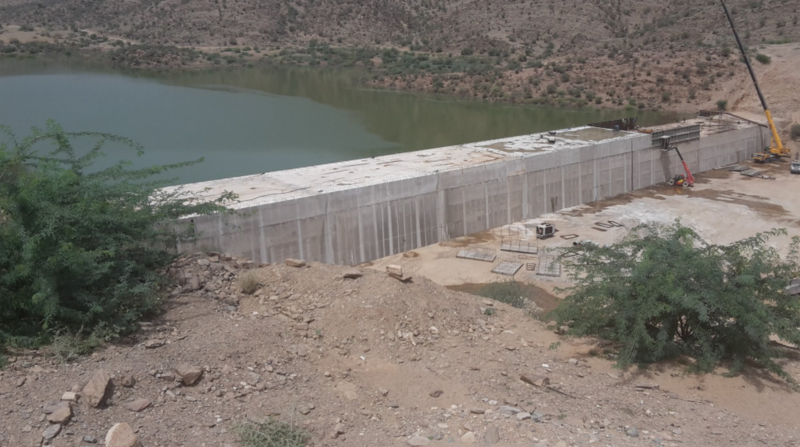 The Gahtelay Dam project is progressing very well. It has now reached 14+ meters high …..
(Asmara, 16 August 2017) – The armyworm that has been observed in some part of the country has been under control. Mr. Tedros Seium, head of the migration pests control, indicated that the army worm has been observed in 150 hectares in the Gash Barka region, in 800 hectares in the Anseba region, 2 thousand hectares in the Southern region and in 5 thousand hectares in the Central region and that through the intervention of the Ministry of Agriculture and the administrations as well as the public 95% has been under control. He said that the follow up is ongoing until the pest is fully under control. Mr. Tedros also indicated that the Ministry of Agriculture has been exerting to raise the awareness of the farmers on the danger of the prevalence of the worm through the mass media and through sustainable meetings and that ample preparation has been undergoing. According to Mr. Tedros the armyworm has already ravaged crops across more than 20 Eastern, Central and West African countries. i’m proud what Eritrea is doing despite what the world assign to her in ranking or certificate..seeing the dam of Gahtelay gives you hope how things are moving in Our country..nay bahaki CAN DO PEOPLE ke bahalal.